Published on 11th July 2018 at 09:00 • No comments yet, be the first! 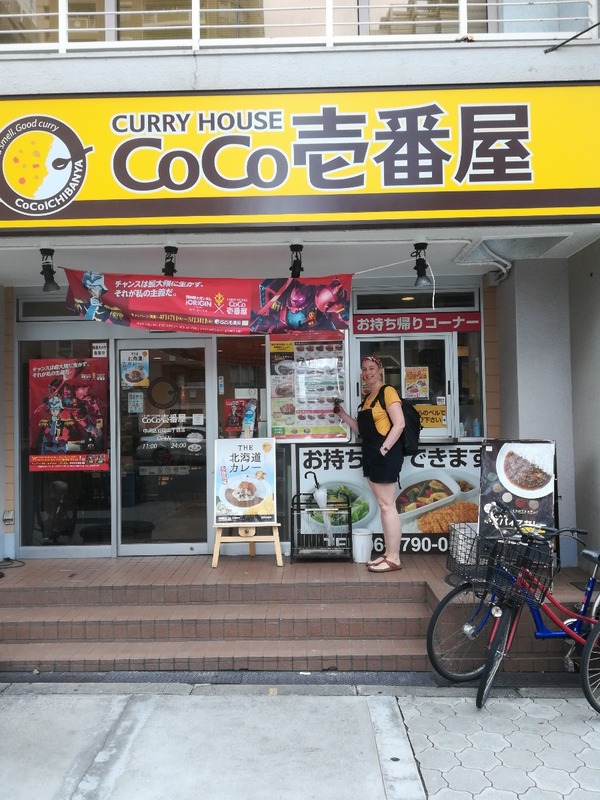 Whilst us Brits think of curry as an Indian dish, in Japan it’s known as ‘yōshoku’ meaning Western food because it was introduced to Japan via the British at some point in the late 19th century. Kuro curry - ‘kuro’ means black in Japanese and this dark coloured version of curry is said to have originated in Kumamoto where they harvest black seaweed and add it to the curry for a unique colour and flavour. Chocolate, coffee or squid ink can also be added to get the desired black colouring and rich flavour, we tried the coffee version in Kyoto and it was delicious! Sign up for a Friday Night Curry subscription to try the recipe! Yaki curry - from Mojiko in the Fukuoka prefecture of Kyushu, basically a rice, cheese, egg and curry gratin - true comfort food! Curry yakisoba - yakisoba is basically the Japanese version of chow mein, and this version has the addition of curry powder! 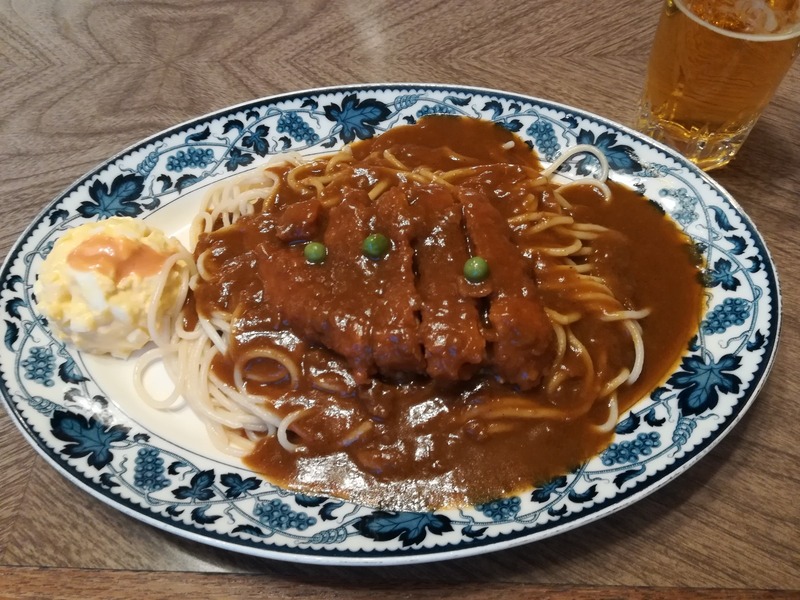 The small town of Amanohashidate is famous for this dish, said to have been introduced to the nearby town of Miyazu by a Chinese immigrant who moved to the area in the 1950s. Other less expected curry ingredients are spaghetti, sweetcorn, scrambled eggs, sausages, cheese filled hamburgers! All served at the famous chain CurryCoCo. 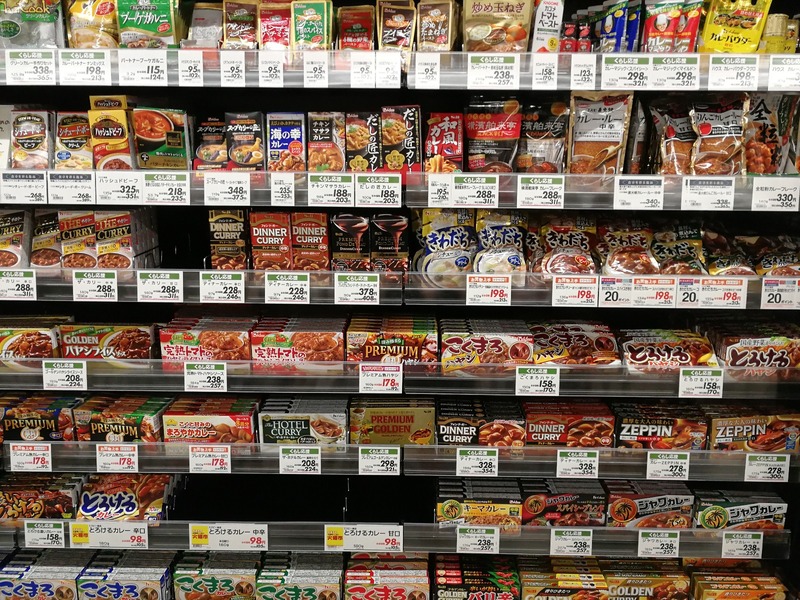 Whilst eating curry in a restaurant in Japan is relatively cheap, people still ‘make’ it at home. Curry powder can be purchased, the main brand being S & B and the the home cook would have to make a roux ( a mixture of fat and flour), add chicken, vegetables and possibly stock then bubble away. Even less effort are the endless options of ready made curry roux blocks where all you have to do is add meat, vegetables and water or better still the popular boil in the bag versions! 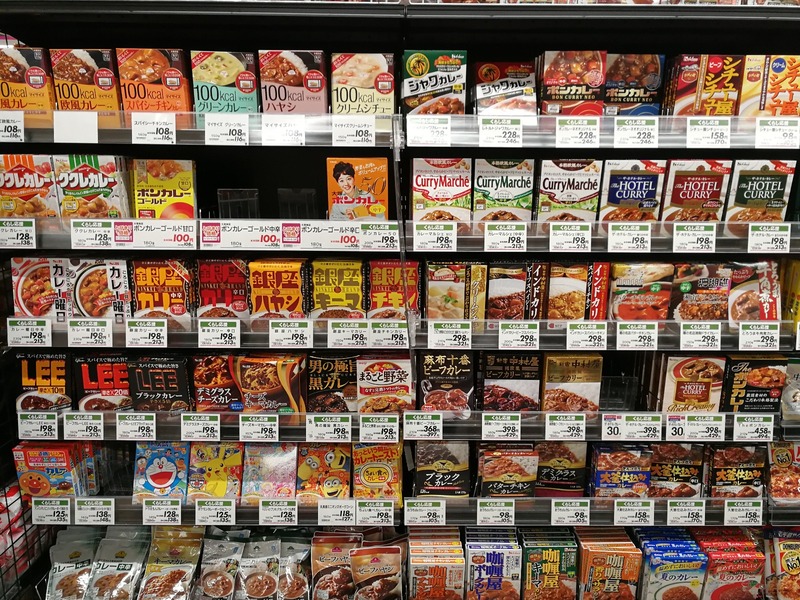 With ingredients from around the world being more available, numbers of young Japanese tourists on the up and the ability of Japanese chefs to tweak, tamper with and endlessly perfect recipes I suspect that the story of Japanese curry does not end here. 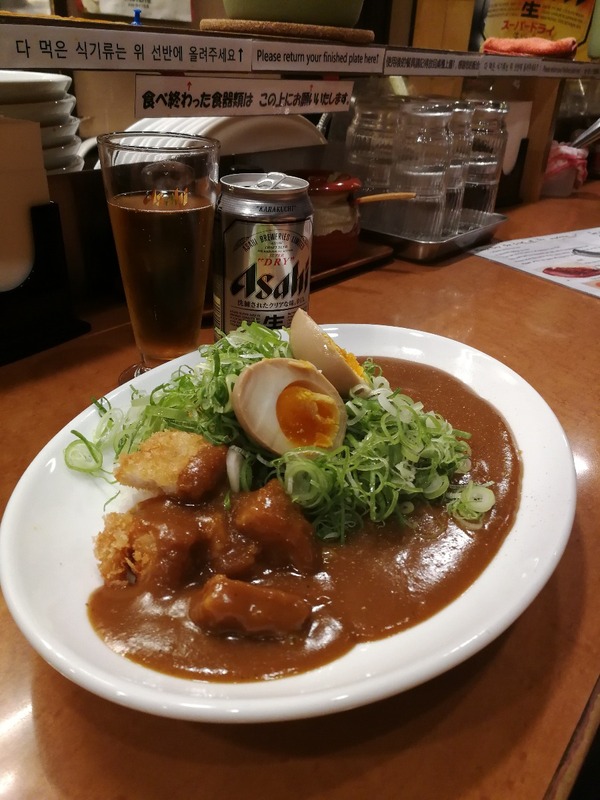 I look forward to Japanese adaptations of African, Southeast Asian and Caribbean curries - curry goat kare pan, rendang ramen or sushi rice biryani! Anyone else? 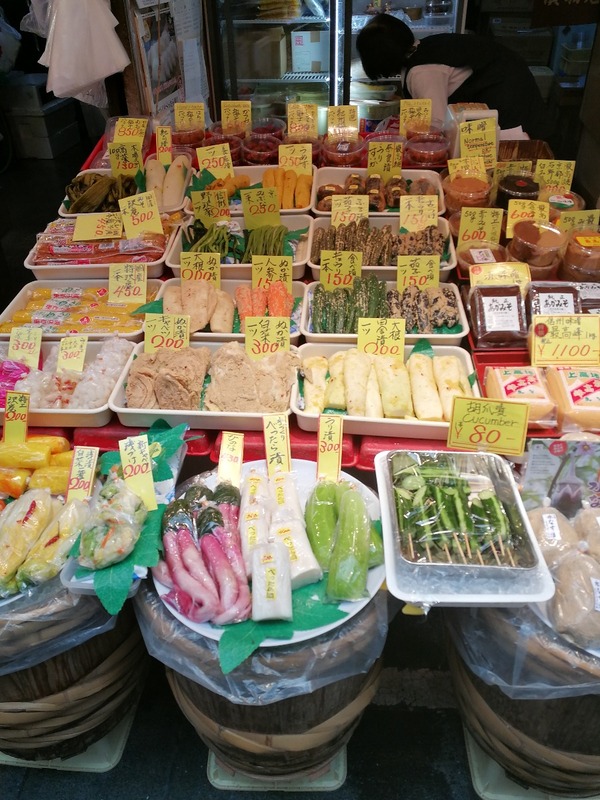 As mentioned above ‘yōshoku’ means Western food and ‘washoku’ is traditional Japanese food. 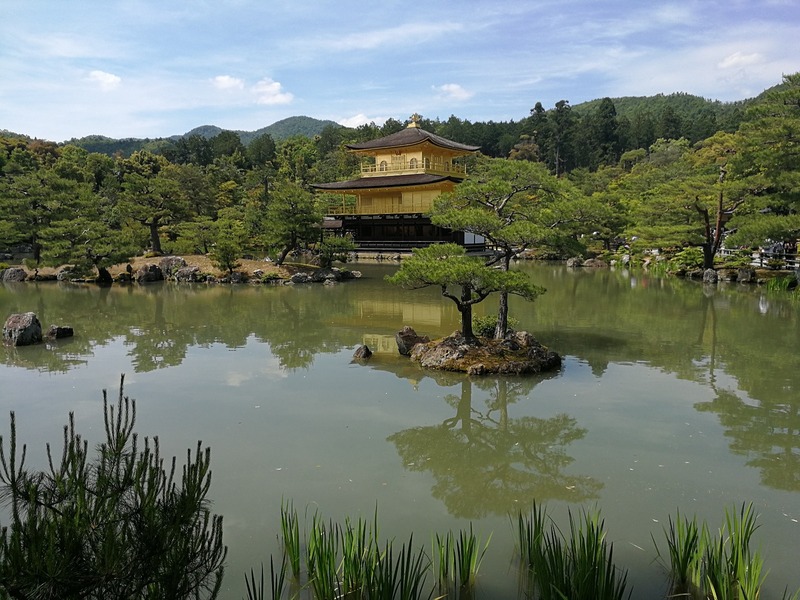 Prior to the Meiji era Japan went through a period known as sakoku for 220 years when Japan was isolated from most other countries resulting in limited trade and therefore limited influence on its food. 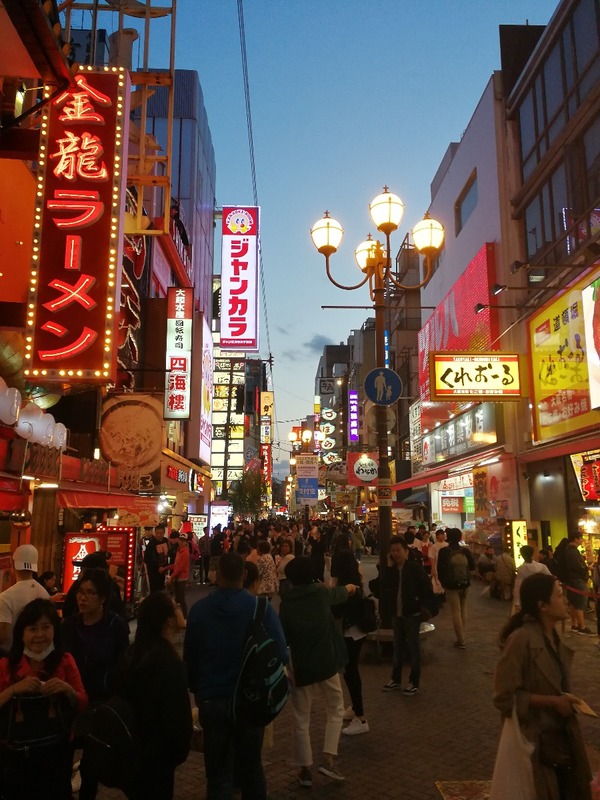 After this time Western food began popping up in Japan, albeit in adapted versions of the original dishes often with a Japanese twist. 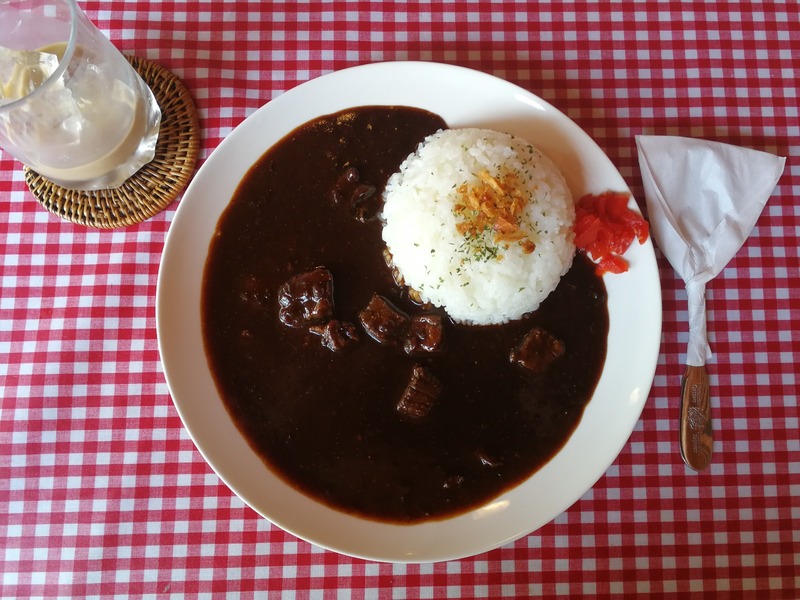 Examples include omurice (fried rice with tomato ketchup covered in an omelette), hamburg (a minced meat patty served with the Japanese version of Worcestershire sauce), hayashi rice (beef and mushrooms cooked in a demi-glace sauce). Examples of ‘washoku’ cuisine on the other hand are seafood (grilled or served as sushi or sashimi), lightly cooked seasonal vegetables, pickles, miso soup, tempura (although this was actually introduced by the Portuguese in the 16th century) and noodles (and these were introduced by the Chinese!). 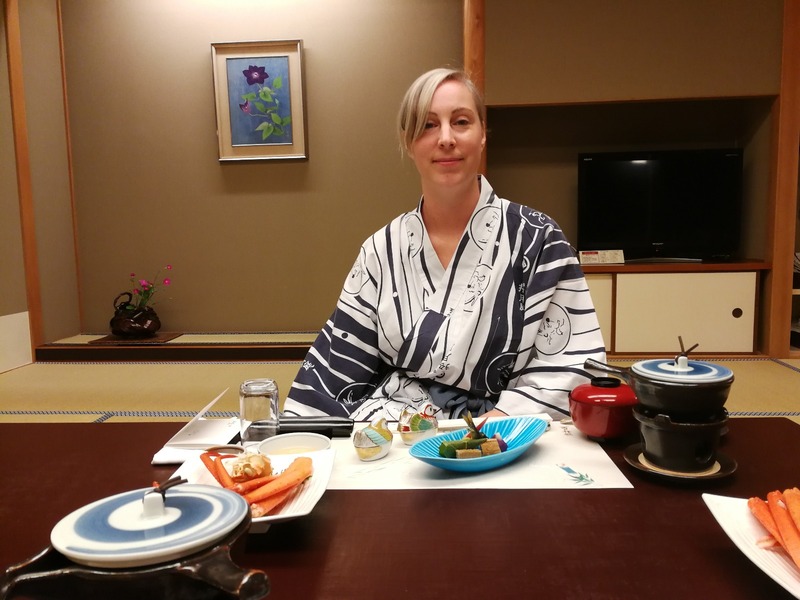 Washoku cuisine is usually eaten using chopsticks whereas yōshoku’ is often eaten with a knife, fork and spoon. 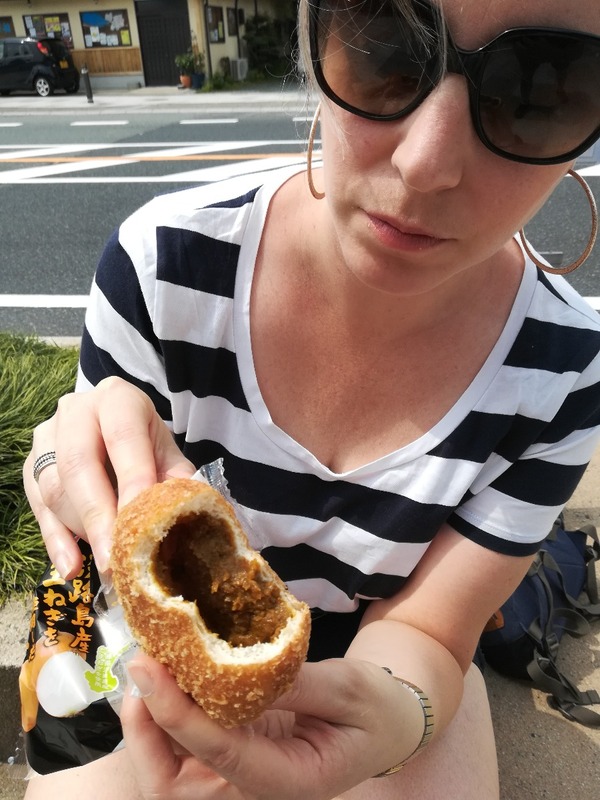 ‘Hara hachi bu’ is ancient Confucian phrase which translates to ‘eat until you are 8 parts out of 10 full’ compared to ‘kuidaore’ a modern day Osakan saying which means to eat until one is bankrupt! 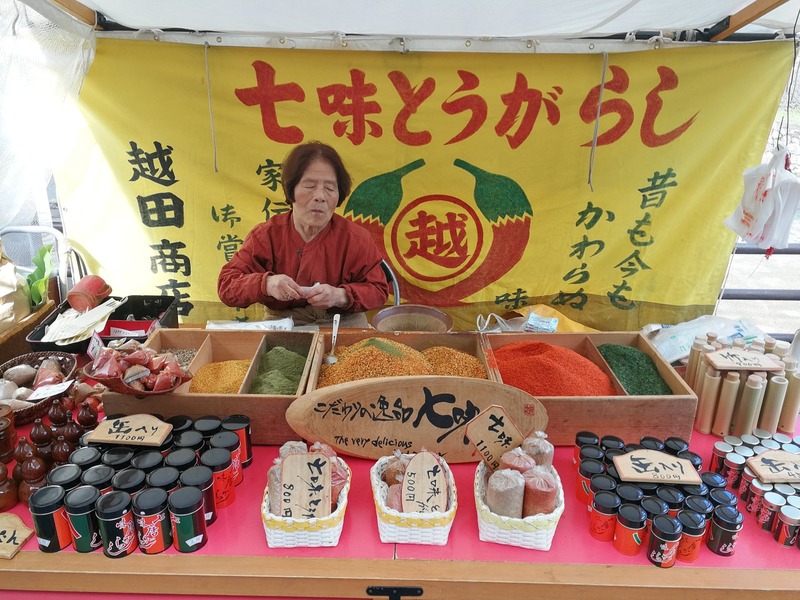 There’s many a condiment to choose from in Japan, these often add a bit of heat, zing or oomph to otherwise simple dishes. Wasabi - a plant native to Japan, the same family as horseradish and mustard. It grows in shady mountainous clean rivers and is most famously eaten with sushi and soba (buckwheat) noodles although at the wasabi farm we visited it was used to flavour sausages and icecream!